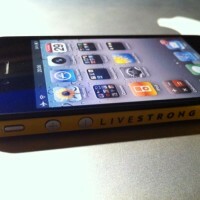 True Power, Inc., makers of the TruePower iV Pro Battery pack, have released a line of new personalization films for the iPhone 4. ThinSkin by True Power, Inc. 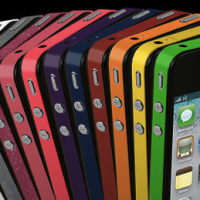 The ThinSkin films are a thin and colorful way to personalize your iPhone 4. The films remind me of an Apple Bumper but without the bulk. 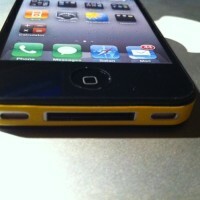 Like the Bumper, the films are applied along the perimeter of the iPhone 4, covering only the steel band. Due to the thinness of the films, they do not provide very good impact protection for the iPhone 4, but they will repel scratches and scuffs from the steel band. Application of the product is very easy (guide) and is similar to applying a screen protector, but with less hassle. The films are pressure activated meaning that you can position and align the film before affixing them. Removal is also very easy and leaves no residue. Overall the films are a great personalization accessory with lots of color choices and a minimal, subtle design. The only thing to be mindful of is that once applied, the film covers the SIM tray completely. So if you have tech support issues or need to remove the SIM tray, the ThinSkin must be removed. Each ThinSkin is $19.95, comes with two ThinSkins per package, and is available from the True Power online store. 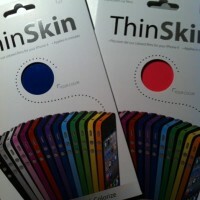 Today I have three ThinSkins to giveaway to iPhoneinCanada.ca readers! We have Orange Fluorescent, Vivid Blue, and Magenta. 1.) 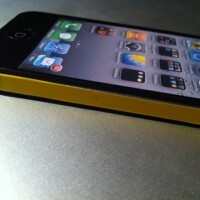 Why does your iPhone 4 deserve a ThinSkin film? Winners chosen at random; Contest ends December 16, 2010 at 1:30AM PST. 1.) 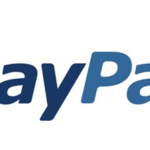 Make sure to include your email in the email entry field. Otherwise I cannot contact you!